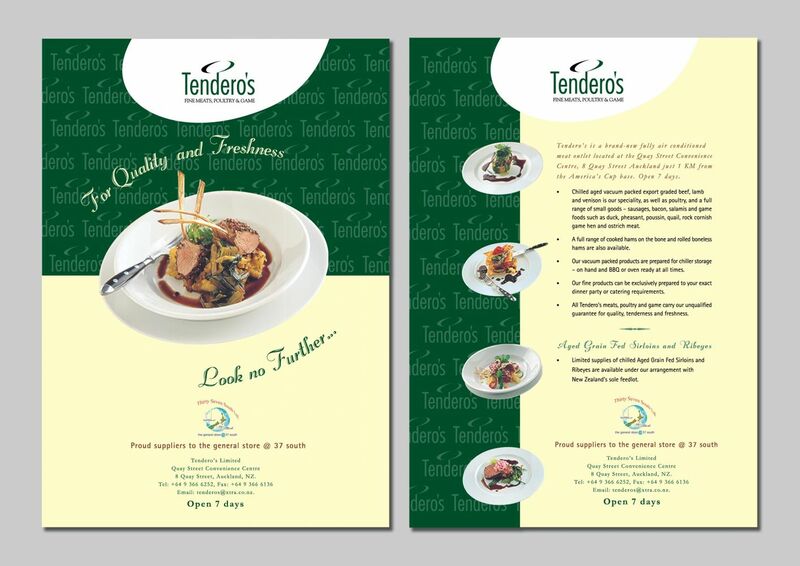 A New Zealand company selling high-quality meat cuts to the super yachts a brochure was required promoting their company and their quality fresh products. Format: A4 printed colour on both sides. Brief: The client required the look of the design to be professional and clean-cut. It needed to promote the quality and freshness of the product and also the brand. Solution: A simple clean-cut layout using the brands dark green. The shape of the oval in the logo was reflected in the white background oval. Very high-quality clear cut product images were used to promote the product.